We all have to go through the trials of hair removal, so why not do it with a brand that makes it as easy and convenient as possible? 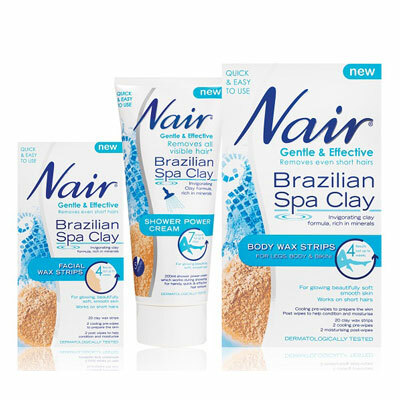 Introducing the Brazilian Spa Clay range from Nair – these gentle and effective hair removal products help you get smooth and silky skin without having to visit the salon. Want to try it for yourself? We’re giving away a Nair hamper consisting of Nair Brazilian Spa Clay Shower Power Cream, Body Wax Strips and Facial Wax Strips. To enter, answer the question below and submit your details.